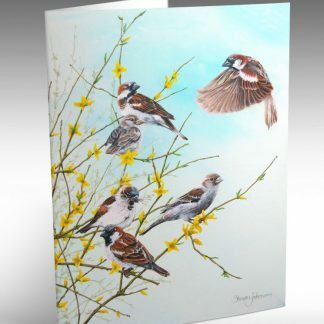 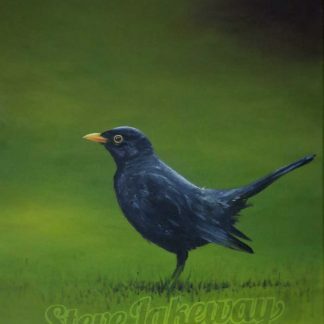 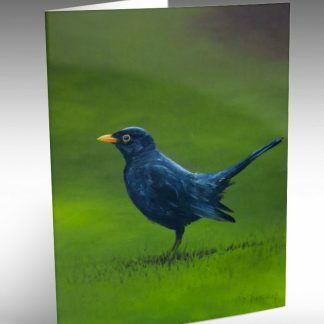 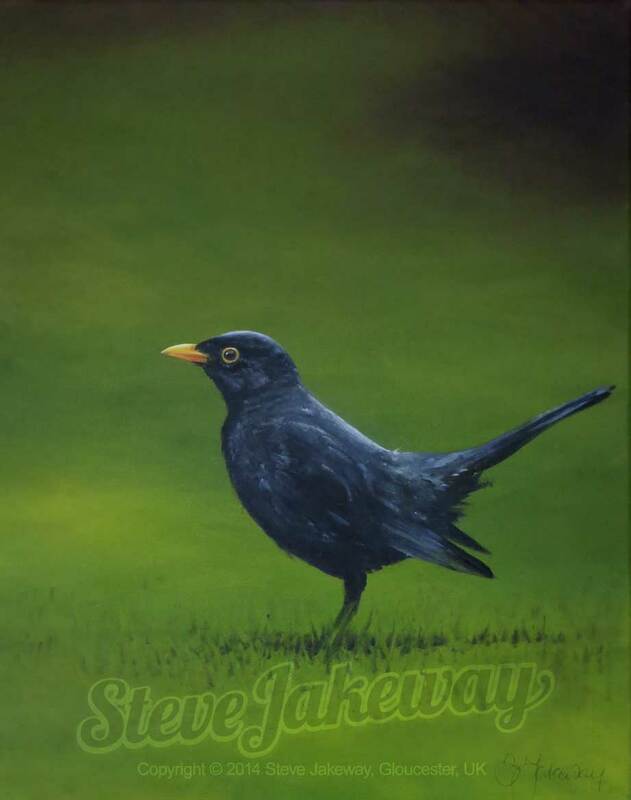 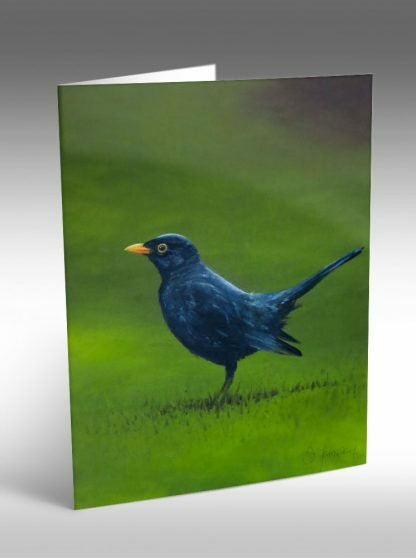 Quality digital printed greeting card of an acrylic painting of a visiting Blackbird. 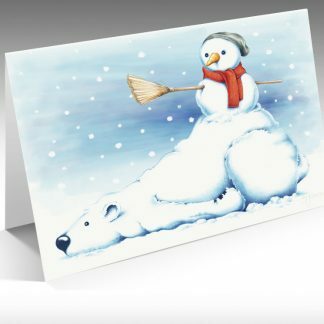 Card is blank inside for your own message. 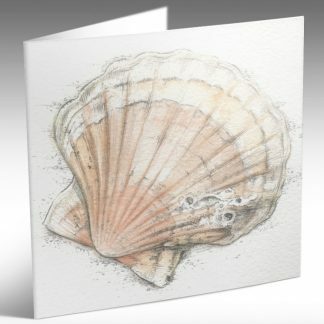 Individually wrapped with envelope in cellophane.